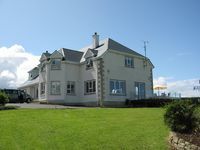 Properties in Bundoran average 4.2 out of 5 stars. Property 1: BRIGHT COSY APARTMENT - WITH SEA AND SURF VIEWS - RIGHT IN THE CENTRE OF TOWN. Property 26: Cosy cottage to relax, unwind and unplug. Property 27: Overlooking the Loch Melvin and the Leitrim Hills in quiet rural location. 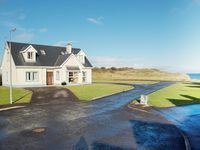 Property 32: The large 4 bedroom bungalow is located in the small village of Kinlough. Property amenities are pretty basic, one towel per person, kitchen towels came shrink wrapped. No real sense of &quot;home&quot;. Regardless, one of our favorite locations with easy access to town, to hiking, to the sea.